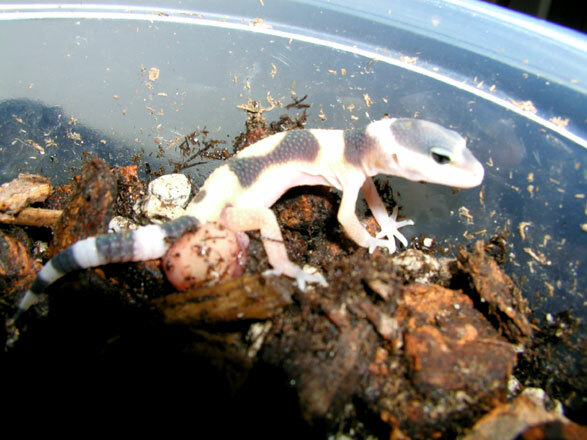 This is Sunrise with her eggs sack attached. That's the meaty thing between her leg and tail in this photo. She should have absorbed this before she fully left the egg, but I think I disturbed her when I found her. This is not a good sign..